Discussion in 'Japan' started by telenomore, Aug 22, 2018. Why not? Its snowed last week at Kuro Dake and Asahi Dake. skifree, DidSurfNowSki, Tanuki and 3 others like this. Thought a few regulars might like to see this place (central Hokkaido) in summer/autumn so will post occasional pics here till it all turns white. This is the Tokachi range this morning. Cap clouds draping the range, developed as a result of a big southerly fetch stretching back to the Typhoon #20, or #19, or some monster that they have formed up into. Lucky Pete, skifree, LMB and 8 others like this. Lovely looking stream, till the last one it looks like their fishing for sardines whats with the bells ? for bears ? Ramenman and telenomore like this. Yes, the bells are for bears. Lucky Pete, telenomore and 2ESki like this. 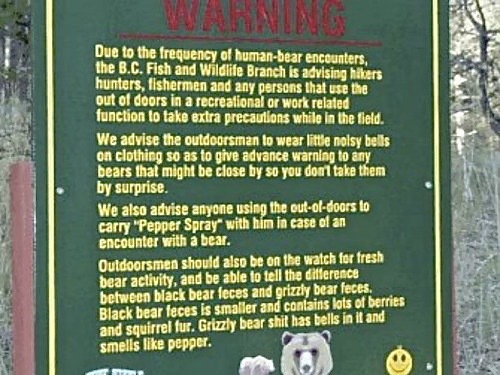 Talk of bears and bells always reminds me of this Canadian sign. timmyhugecans, tot, mannyk and 9 others like this. telenomore, Tanuki and Ramenman like this. The black bears on Honshu are much more dangerous, they will actively track you and attack, but the big brown bears in Hokkaido are more shy. Hence the bells. The theory is the brown bears have poor eyesight but very good hearing and if they hear you will run away but if you come across them suddenly they may feel threatened and attack you. Terrible story in, I think in Iwate Ken, 2 springs ago. @Ramenman might know more details, but four people were killed foraging for bush tucker (Sansai Tori) on four seperate occasions over about a month. They did catch the bear and found human remains inside it. Lots of small fresh water species in Japan. In this video , as well as rainbows, they have caught "Yamabe" and "Iwana". A lot of these smaller fish are cooked whole. Very delicious. The big fishing treat though is the autumn salmon run @2ESki . Maybe @Ramenman can find a vid of that over in the east. The early runs will be stating about now. 2ESki and Ramenman like this. All Yamabe / Yamame, Iwana, Nijimasu, etc are trouts, and I feel trouts in Hokkaido are a bit more delicious than trouts in Honshu. I heard it's because trouts prefer cold water and water is colder in Hokkaido. This video is the autumn salmon run in East Hokkaido. Yes, Iwate is in Tohoku area and black bear attacks often happen in Tohoku. I think bear attacks in Hokkaido are a lot less than in Tohoku because brown bears are shy as Telenomore-san said. 2ESki and telenomore like this. The black bears on Honshu are much more dangerous, they will actively track you and attack, but the big brown bears in Hokkaido are more shy. They did catch the bear and found human remains inside it. Didn't stop me shitting myself in Shiretoko. Rob Thomson, Ramenman and Tanuki like this. Assuming that is silage bales wrapped & stacked in right mid ground. How many cuts do the farmers get per growing season around Furano? Konbanwa minna (ski) - san...Looking for recommendations for Furano for your favourite (or best) Japanese style (tatami mat rooms) accommodation, maybe with onsen in the building. And whether there's any of these within walking distance to lifts in Furano? We are a party of 8, and we've stayed mostly in japanese style mat rooms with shared onsen bathrooms on other japanuary trips in Shiga Kogen, Nozawa onsen, Madarao & Hakuba. Late January trip 2019. Any thoughts much appreciated...Big thanks. Pension Young House and Pension Lavender both showing availability for late Jan 2019, both very close to lifts. Young House has traditional tatami rooms and is significantly cheaper than Lavender. I'd start looking soon though as your group is large. So, we had an earthquake last Thursday morning 3:07 am. We were woken by the screaming phone. Split second later the house shook like never before. We were on the way out the door when it stopped. Pretty tragic as you would have seen on the news south of Chitose at Atsuma. 6.7 on the Japanese scale which tops at 7. Landslides at Atsuma possibly worse due to the typhoon softening up the ground the day before. We'll never know for sure. Locals telling me the biggest ever to be recorded in Hokkaido but @Ramenman might be able to clarify with some statistics. Followed by two days for us with no electricity, no petrol for 30 hours, still aftershocks and rolling blackouts. Nuclear reactor still offline. Pic below of the shelves at our local 7/11 yesterday afternoon. No fresh food coming in although hopefully soon. Many hotels closed at the moment as freezer food all perished and no fresh supplies. Thousands of autumn tourist cancellations. Furano Maccas now been closed for 5 days! Also pic below of the lineup at Homac the morning of the quake. Everyone lining up for candles, water containers (water pipes cut in some areas around Furano) and other essentials. No reports of damage to skiing infrastructure. #1 daughter had school cancelled Wednesday due to the typhoon, Thursday and Friday due to the earthquake. Silver lining. Tanuki, oreo, Olgreg and 2 others like this. In the big scheme of things Hokkaido was very fortunate. Yes, but lives lost are lives lost. Tantalizing. Perfect autumn day today and this morning at Asahi Dake. A light cover up high even before autumn colours have kicked in. I think @POW_hungry might have called this on the Japan weather thread? chunky, skifree, Draizuh and 7 others like this. Tomamu is getting ticket reading gates this coming season. Might be one of the reasons they're taking longer than usual to release their season passes. hah, Classic, the first picture is at Mt hutt by the look..
Today is National Day of the People's Republic of China = a big autumn holiday week for Chinese. It's reported about 8 millions Chinese travel abroad this week and Japan is the most popular destination. It's a bit too early for Autumn color in Honshu but I think it's a good time in Furano, Asahidake, etc now. A lot of Chinese people are visiting there this week? Do customer get benifit of the state subsidation? Tomamu has updated their Japanese website for 18/19 season and they say they offer backcountry tours to Asahi-dake/2,291m, Furano-dake/1,912m, etc. I remember they had CAT tours to Mt.Karifuri last season too, but I don't remember they had backcountry tours all the way to Asahi-dake, Furano-dake, etc last season. They've updated their English website too and they mention the CAT tour to Mt.Karifuri, but they haven't mentioned backcountry tours to Asahi-dake and Furano-dake in their English website yet. That'll be a bus trip and a way to make Tomamu the Central Hokkaido base, not Furano. Day trip to Asahi Dake from Tomamu is a minimum of 2.5 hours each way but closer to 3 (with a coffee/loo stop). That assumes you don't risk life and limb on the roads. 5+ hours driving on icy roads, lets say they leave 7:00 and (no breakfast). They arrive ADO 9:30 am, 1st lift 10:00 and last lift 3:20. 5 hours skiing, maybe 4 runs, possibly 5 if no lunch stop. Depart say 4:00 pm and back at Tomamu 6:30/7:00 pm. My guess is no takers if they know the details. skifree and Ramenman like this. Yes, I thought so too, Tomamu is too far from Asahi-dake, etc. Looks it, again! They tried that a few years ago under previous management. Had day tours to Furano and Sahoro with minimal takers. Maybe their new clientele may bite at this but it is still a stand alone resort in the middle of nowhere, with no nearby charm of a regular town and nowhere near the day trip options. Wont work. Plus they would want to be confident about the weather forecast. Wouldn't want to drive 3 hours and find the wind had picked up and closed the ropeway. 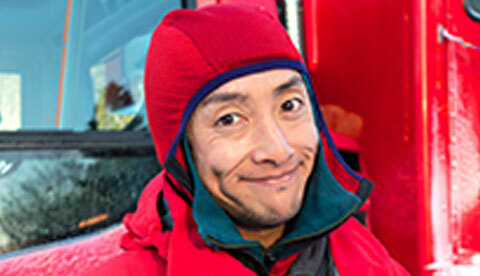 skifree, telenomore and Ramenman like this. Meanwhile, descending through the autumn colours today from Asahi Dake. Not full colour yet but changing by the day. Draizuh, Froff Life, azzski and 4 others like this. @telenomore is all back to normal in Hokkaido? School back? Thanks @LMB All back to normal although big drop off in visitor numbers. Short lived though. LMB and Ramenman like this. I assume they are the same gates that Hoshino Resorts installed at Alts Bandai and Nekoma in Fukushima in last season. Tomamu was bought by a Chinese company, but Hoshino Resorts still operate Tomamu now. Also interesting that its not from a Japanese company as the country seems to be very in favour of local tech, perhaps its built locally under licence as a lot of foreign stuff seems to be in Japan. I was most intrigued about the Chip card gates in Hakuba when i first went there nearly 10 years ago as they seemed so retro, yet obviously ahead of their time. Id seen the IC gates everywhere in Europe but they were all new and modern! Tomamu started producing dairy products this summer. skifree and Born2ski like this. That use to be the golf course. And they're even going to have animals there over the Christmas winter period. Mt Oputateshike, northern end of the Tokachis from around Biei yesterday. Froff Life, skifree and Olgreg like this. This was filmed in Furano yesterday. Mike Pow, telenomore, Hyst and 1 other person like this. Love your input into these forums @Ramenman but a bit of a correction. That clip is shot at Ryounkaku, around 1100 metres on the Tokachi Mts, officially part of Kami Furano town. Nothing in Furano yet. Nah @skifree Pic from wife. Im guiding cycle tours in Shikoku to early November, currently at the base of Mt Ishizuchi and 3 degrees when we rode in here (around 1500m). Ishizuchi is the highest mountain in western Japan and Shikoku and we are planning to climb it tomorrow, assuming no ice on the summit as it is a bit exposed! Apparently sleet here this morning. It's back ! .......the great value Tomamu season passes ! They don't go on sale until the 1st of November but the pricing and details are shown above. Very similar to this year's season pass with only minor changes. Family passes (2 adults + 2 kids) go up 3000yen to 52000yen, but still a great deal for FOUR season passes. Adult passes stayed the same at 27000yen, seniors went up slightly to 21000yen. You still get wave pool entry, restaurant discounts plus discounts at a selection of other Hokkaido resorts. 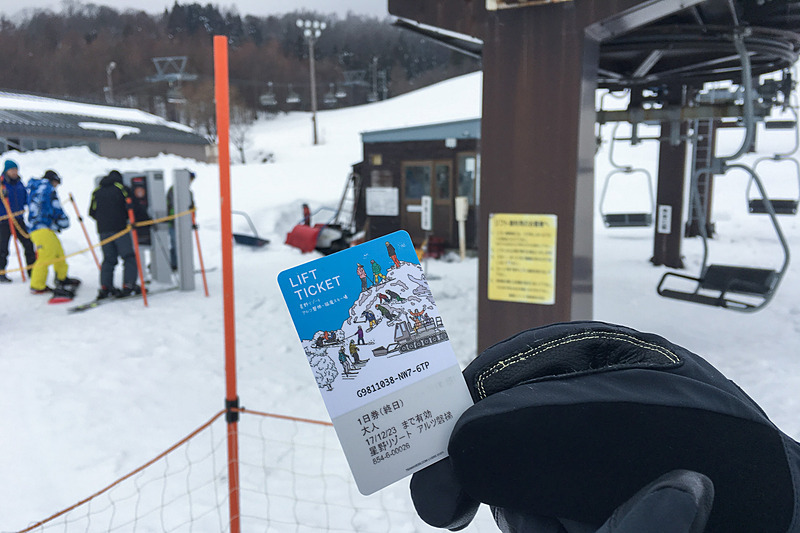 The English webpage is still showing last season's pass pricing and details at the moment so you can compare it to the above Japanese link. I'm sure they'll update the English one in the next week once they go on sale. I've got our Tomamu and Furano accommodation already booked so we'll be getting the Tomamu season passes once again. BoofHead, Ramenman and azzski like this.